Welcome to Globallords: Senate passes anti-Tobacco bill, culprits may get up to 6 months jail term. 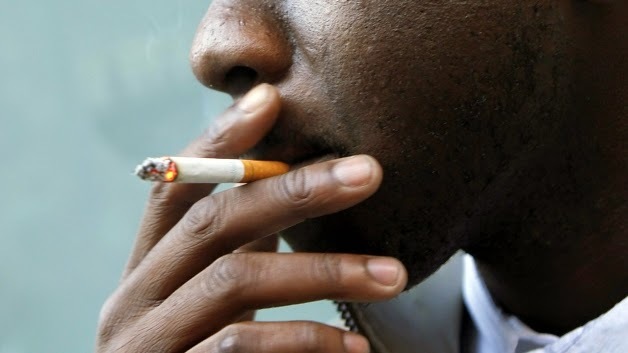 Senate passes anti-Tobacco bill, culprits may get up to 6 months jail term. The Senate yesterday passed the Tobacco Control Bill. According to the deputy senate president Ike Ekweremadu who presided over the plenary session on Tuesday May 12th, the bill will ensure effective regulation and control of production, manufacture, sale, labeling, advertising, promotion and sponsorship of tobacco and tobacco products in Nigeria. The bill among other things specifies the places cigarette smokers could smoke and areas where smoking is forbidden and also the punishment to be meted out to defaulters when they smoke in non-designated areas. Culprits may get up to six months in jail. The bill states that owners of public places where smoking is not allowed will be penalized if they fail to put up a "no smoking sign" on their properties. The bill was sponsored by Delta state governor elect and Senate Committee on Health Chairman, Senator Ifeanyi Okowa. The bill now awaits the assent of President Jonathan. Campus Gist Entertainment Free Browsing Tweaks Health talks Jiji Commercial Properties Jjij.ng Sponsored Articles Music & Lyrics Naija news Others Relationship Season Greetings Tech.